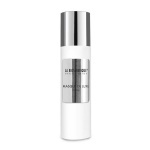 La Biosthetique Paris stands for highly effective premium cosmetic products. La Biosthetique attach great importance to the use of natural raw materials and guarantee the highest degree of tolerability, developing in-house products to ensure that they comply with the latest findings in hair cosmetics and dermatology. La Biosthetique Paris offers a complete range of luxury cosmetics: it comprises hair and scalp care, styling, professional hair colour, skin and body care as well as make-up products. High quality ingredients are carefully blended. Each product has a targeted result so that the La Biosthetique hairdresser can easily provide solutions for all kinds of problems and satisfy individual needs. La Biosthetique has designed an anti-ageing care for hair of customers aged 35 onwards. Plant cell extracts relax and regenerate the scalp deep down. Methode Regenerante, a hair care concept providing everything your hair needs for improved growth, a positive energy boost and optimum support. Synergy care for the normalisation of hair and scalp. Methode Normalisante is designed to regulate these conditions and restores its balance. 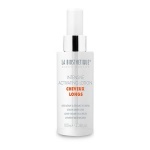 Active ingredients work directly on the hair shaft to fortify weak fine hair strands. Hair is strengthened, elasticity is improved and breakage is reduced. La Biosthetique Dry Hair products provide a moisture boost and help deliver shiny, silky hair. 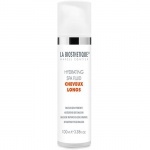 The Cheveux Longs complex penetrates right through to the inside of the hair fibres where it develops its full force of highly effective care power. The synergetic system strengthen’s the scalps resistance to dandruff for the long-term resulting in dandruff-free fresh hair and healthy scalp. La Biosthetique Curl products respects and supports the special curl structure of the hair, giving it precisely what it needs. 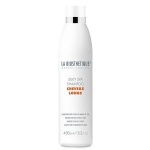 La Bioshetique Protection Couleur is especially developed for tinted and coloured hair. Repairs, protects, hydrates hair while protecting colour against fading. Calm frizz and flyaways for up to 48 hours with this range dedicated to taming unmanageable hair without weighing it down. Even lifeless or highly stressed hair is given a new lease of life with the hair care range Edition de Luxe Hair Care. Sprayed, curled or gelled - the idea is what counts. Fantasy has free rein. La Biosthetique Style and Finish for your individual styling composition! An innovative and highly scientific range for sensitive scalps, which very effectively uses a multiple effect principle to combat permanent dandruff. With La Biosthetique Methode Soleil Sun Care in your luggage, you can enjoy the most beautiful season without hair problems. Natural Cosmetic Haircare is free from silicones, parabens, paraffin oils and synthetic colorings or fragrances. It provides a wonderful sense of natural wellbeing with a clean conscience. A healthy skin has a natural barrier layer but if this protectiveshield is impaired, Méthode Relaxante restores the skin’s barrier function. A specific range of skincare products designed to tackle the root causes of aging skin. This luxury hair treatment not only repairs and stabilises stressed hair with the most exquisite and precious substances; it also gives it a first-class de luxe spa experience. Heat Protector spray is not only the perfect heat protection for the hair, but it also provides sleekness, softness and shine.